Khushi Kumari Gupta was standing in the middle of a crowded Lakshminagar street, early in the morning, happily munching on a handful of channas. Payal was inspecting the vegetables on display in a nearby stall. Both girls were in pastel shades of yellow and green kurta with matching flower embroidery on it. Fresh and pretty, in the hustle bustle of regular Lakshminagar. The dresses and unaffected air were where the similarity ended. The younger sister was doing no work and gazing into space, while the elder sister had an extremely busy efficient air about her. Her jhola was already full of vegetables and Payal was bargaining on more. “Aaj mausam hai suhana..gaana gaane ka hai bahana.. What the what the what“. Khushi suddenly sang happily, looking all around. Then noticing a crispy looking karela she ran upto Payal, “jiji lets have karela for lunch today“. “karela? lekin achanak kyu? chalo baba.. achcha Khushi.. I am buying it“, Payal continued her bargaining. Khushi moved away pretending nonchalance. There was no need to tell di that buaji had been talking to Khushi about the benefits of karela to someone with diabetes. Bitter, hard to swallow. Today that did not feel bad. On the contrary it felt exciting. Her heart felt overwhelmed at the vegetable that actually did good deeds. devi maiyya hum pagal ho gaye hai.. She threw up her hand in the air. Of all the things possible, she was spending time thinking about a karela, and that too fondly! sab us laad governor ki galti hai.. The intoxicating feel of his lips as it moved against hers flashed before her eyes. She had never ever imagined that his tongue could be so soft.. Clutching onto her forehead, her eyes rose upwards in despair. dhak dhak dhak.. How hard had she tried not to think about it.. About him.. But wasn’t it funny that the mouth that seemed to always move in anger could do such things too? Make her feel all sorts of things. So it was not funny.. but she did not know what other name to give..
She had walked a little further away from the hum drum of the market. And as the panic inside her quelled a little she could focus on the warm tender feeling inside her. He did not need to help her. He did not need to dance with her. And there was definitely no need to do.. that..
She never did thank him for the times he had helped her. 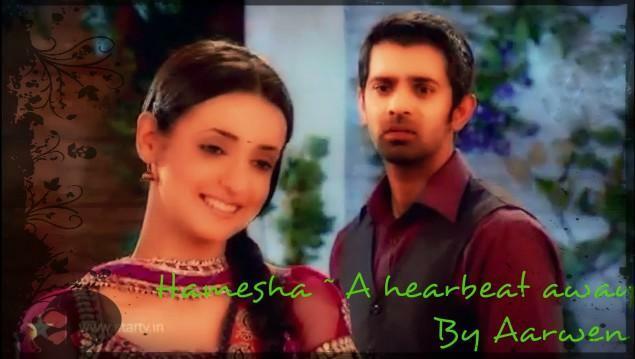 And he had wanted her to.. Khushi gulped.. Then determined to say it in her head.. She continued.. He wanted her to kiss him.. devi maiyya why did it not feel wrong at all? Instead he felt exciting, and reassuring. He was unpredictable, but still the one who would come har bar. He was scary and yet he made her feel safe…hamesha.. And she wanted to run away when he looked at her a certain way, but she also wanted him to continue looking at her that way. A horn blared nearby and she was brought back to the present. A man who was selling flower garlands was walking past her. “bhaiyaji.. do haar dena“, she called out to him. She had decided she would buy two garlands. One for Lakshmiji, who would look gorgeous with the orange flowers around her neck and the other for mamiji’s hair. She would go to shantivan and give it to them. And while she was there she would tell that akroo laad governor that it was all a mistake.. She had not been thinking clearly that is why she had.. nai nai devi maiya.. It is better not to think about it..
“la la la la la la“.. Humming she turned to go back to her jiji when she stopped in her tracks. “Khushiji kaisi hai aap? Humne socha that it is a wedding house, there must be hundreds of things to do. And what all can buaji do alone. Toh bataiye humein if there is anything I can help with. For old time sake you can tell me Khushiji“. A sickly sweet smile was plastered on Shyam’s face. He made a movement towards Khushi, but her face had hardened and she put up her hand to stop him from approaching her further. She was about to move away, but Shyam grabbed her wrist. “Aisi bhi kya berukhi Khushiji. Did I not explain to you? I only want to help you and buaji. After all there was a time when I was also part of this family“. She jerked her hand free and resolutely faced the creep. “bas kijiye Shaymji. How dare you come here and talk to me? yaad rakhiye humne sirf Anjali ji ke khatir kuch nahi kaha hai ab tak. But don’t take my silence as my weakness. I cannot stand the sight of an immoral person like you. Next time don’t come near me“. “Khushi Khushi“.. Payal was making her way towards them. Seeing her Shyam decided to slink away. Sooner or later Khushi would be all his. He could wait a few more days. An extremely worried Payal reached near Khushi. “Why was Shyamji here?“, she asked. Payal could not stand him. Even when he had stayed as paying guest in buaji’s house and buaji would go on praising him, Payal had felt a strange weariness about the man. Perhaps it was the fact that he was a bit too helpful, perhaps his coming to stay at buaji’s place was a little too convenient. Payal had always felt uneasy around him. And when buaji had forced Khushi into agreeing to marry him, Payal had been certain that it would be a mistake. Her sister had always dreamed about love and rajkumars. She shuddered to think what would have happened if Khushi had not come to know on time. But the kind Anjali di had not been as lucky. Payal felt sad at the unfairness of it. “choro jiji. I strictly told him to stay away from me. jiji wish we could do something about it. Anjali ji kitni achchi hai. She does not deserve her heart broken this way“. Khushi sadly spoke up as the sisters walked home. In a fanciful hour Payal did contemplate Shyam might be in Gupta house to rob their unsuspecting trusting buaji, but never would she have dreamed he was married. And as fate would have it he was married to Anjaliji. Anjaliji who was gracious and cheerful always. Why did nice people always have to face challenges? They had reached home lost deep in thought. Then after emptying the shopping bags in silence both sisters were out in the verandah removing clothes that had been set out to dry. “Khushi everything will change soon. Shantivan humara ghar hoga. Akashji and Arnavji are very nice straightforward and caring. We cannot hide this from them“. Payal spoke determinedly. Khushi dumped all the clothes in her hand onto the floor and rushed to give her wise elder sister a hug. “jiji hum bhi yehi soch rahe the. par jiji am worried for Anjali ji and that rakshas. I don’t want to see them sad“. “hai re nand kisore. dhula kapra jameen par fek kar gale lagat hai duno beheniya!“. Buaji’s eyes were watery as she engulfed her two nieces into a smothering hug. She was going to miss them a lot. “di jeejaji is not here again, and you are again in this mopey state“. ASR was sitting with the newspaper in the hall. 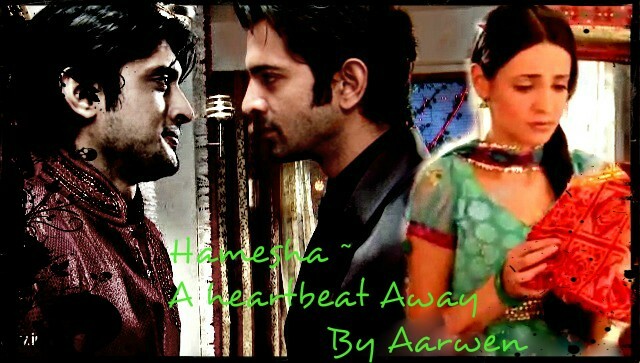 The truth was that ASR was right, Anjali was restless and lonely. Shyamji has been irritable and elusive the last couple of days. Anjali had vaguely hoped the wedding festivities would be the perfect occasion when Shyamji would be able to take some time off from work and be with her. Instead he only went further away. “Huh“? ASR questioned. Then quickly corrected the orientation of the paper as his di’s words settled in. Anjali could not help smile indulgently at her brother. “chote stop this huh, hu.. And see yourself. chote ab na tum pehle wale chote nahi rahe. You have changed“. ASR could sense panic rise within him. “Chote you are not even scary nowadays. Trust me, ye sab Khushiji ka asar hai“. Anjali limped across to the sofa where he was sitting and firmly tugged the paper away from his face. “bas chote. Not one word will I hear. Om Prakashji aap kahiye… hasn’t our chote become new and improved?“. Om Prakash had just come in with a steaming mug of coffee on the tray. “Om Prakash.. Shut up..“. ASR muttered gruffly, desperately wanting the conversation to end. Even Om Prakash was now match making, what had the world come to! A little yelling would do him good. In fact everyone needed to see the return of stern Arnav Singh Raizada. Anjali had already read his mind because she firmly wriggled her finger at him.”Chote try karne se bhi you can’t go back to being the way you were, samjhe tum? pyar humein badal deta hai. We don’t know how or when, but an irreversible change happens and the world starts to sing and smile and we dance along“. “Ha Anjali bitiya sahi kaha aapne. Om Prakash humare sath chaliye chatt par phool mala lagane mein humari madad kijiye“. Their nani was walking by with a big basket of flowers. ASR’s eye brows had crooked a little as he grimaced. “Di now please don’t start with the saasein ruk jayegi nonsense. And you know very well I don’t like songs or dances. and am not marrying“. “achcha chote, toh why did you dance with khushiji all evening. hum toh dur khare the, but from where I was standing it did look like you you were dancing“. Anjali reached up and twisted his left ear a little. He indulgently shook himself free, but Anjali continued in a sweet patient tone. “chote you have always faced the facts. Don’t run away from them when they are the most important decision of your life. Listen to what your heart must be trying hard to tell you..“. Saying this she got up to take a look at the decorations on the roof. Di had talked about change.. Where was the Arnav Singh Raizada jise koi larki se koi farak nahi parta. He stared unblinking ahead, his eyes losing focus. It hurt to think of her as “koi larki”.. She was Khushi…his Khushi.. Only his.. He had made it clear to himself and her.. The girl he longed to kiss.. To hold close.. To see smiling.. Hamesha..
dhak dhak dhak.. A strange sound reverberated in his ears.. His heartbeat… he thought in wonder. And a whiff of air seemed to ruffle his hair.. She was here. He went still, only his eyes moved, finding her with unnerving certainty. She was kneeling down near the front door, talking to a goat and dressing it with flowers. He shook his head aghast, flecks of amusement shining in them. He had kissed her dammit! And he wanted to taste her again.. And she was busy with her Lakshmiji, with no thought of meeting him first. She was infuriatingly ajeeb, but the breath of fresh air that he needed in his lungs. What the! That sounded suspiciously exactly like something di would say..”ASR snap out of it“. With a devilish smirk he decided it was about time for some bad influence on Khushi Kumari Gupta. She was standing, quite nervous, and was ready to tear her duppatta wringing it around with her hands. She turned a shade of deep scarlet and fidgeted some more, only succeeding in making ASR lose control. He rapidly advanced towards her as she shrunk back mumbling, “hum.. wo.. aap.. hume jana hai“. He raised his fingers and touched her lips. “shh..”, came a gravelly whisper. Her gaze remained riveted to him. She had moved a little away from ASR who had his lips pursed and was viewing NK’s presence with a marked dislike and a steely eyed glance. “Khushiji chaliye I will show you the decorations. sab aapke liye sajaya gaya hai..mera matlab for you and Payal bhabhi“. NK wriggled his eyebrows in excitement and ASR snarled. He heard his phone vibrate, and took out the bluetooth from his pocket, fixing it to his ear. “What is it Aman? Can you not handle a single damn thing yourself ever?“, he growled on the phone. Then halfheartedly calming down he walked away. A pair of wistful eyes followed his departure, even as he half turned to catch a last glimpse of them before he got on the conference call. Pressing the button on his bluetooth he disconnected the call taking purposeful quick steps towards the spot he had left Khushi an hour back. He was still in a dark mood and a slight pout was prominent on his face. Where was she? “khoon bhari taang aur apni issister and phuture ma isssister-in-law ooo phati saree ke bhi bol diyo.. Last warningwa humaar kaan openj karke writingj mein note kari liyo..“. Mamiji’s loud voice fell on his ears. He saw Payal nearby, looking extremely dejected. “mami I need to talk to Payal. And really, she has a nice name.. mami calm down okay..“. “hmmpp.. Hello hi bye bye..”, mamiji swished around her hands in all directions and then with an extra sway in her hips walked away. 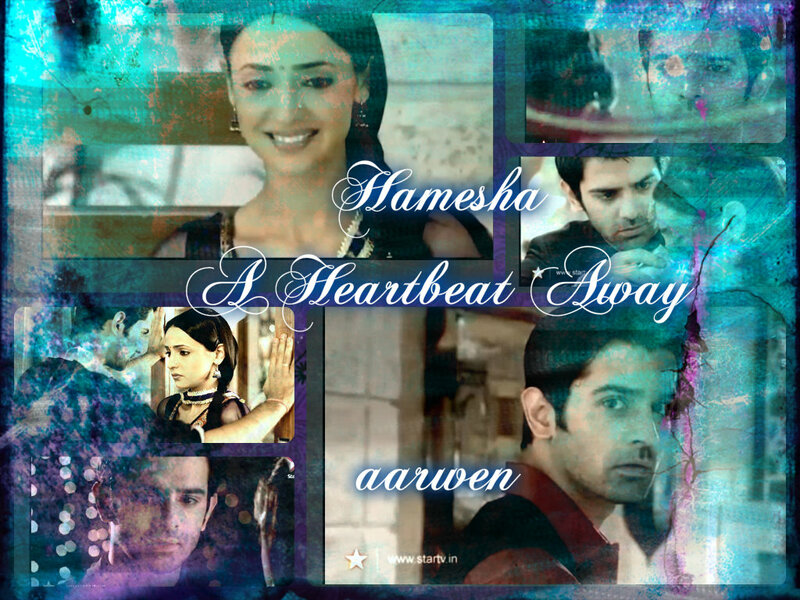 Payal gave a grateful glance at ASR, and waited to hear what he wanted to say. She was not even sure why her future in law had suddenly turned hyper. It disturbed her more than she cared to admit. “Hope you are okay Payal. I know mamiji is not easy to deal with…“, ASR spoke in a calm reassuring voice. His mami could get loud and dramatic at times, but what was inside was transparently on the outside. A little too transparent in case of Payal. “hum thik hai Arnavji“, Payal responded softly, with a hesitant smile. “you know, you don’t need to smile when you are hurt“. ASR had a concerned thoughtful smile on his face as he addressed Payal. “Thank you Arnavji. par jab tak Akash ji is with me and you are with Khushi.. Gupta sisters will remain smiling . And not just remain smiling, but hopefully bring smiles to other as well“, Payal spoke up in a determined clear voice. “Payal you are here already. Come let me show you the decorations“, Akash was beaming at her and guided her by the arm in the direction of the staircase. Their short but sweet alone time in his room had ensured that Payalji turn permanently into Payal and Akash could not be happier. Apparently, it was becoming quite the norm of Shantivan to show the Gupta sisters the decorations, ASR thought ironically. He was left alone in the hall. Just then Khushi walked in alone, munching on what could only be a jalebi. The sugary syrup intermingled with her taste. He was ravenous. He needed to kiss her.. Right now! And this time he was not letting her go to see any new decoration with NK. He threatened the imaginary interrupter in his mind, but before he could reach those maddeningly inviting lips, the possessor of those lips was beckoned by someone else. “khushiji khushiji ..“, Om Prakash’s excited voice rang out. Khushi’s eyes darted towards a fuming ASR and then she scurried towards the kitchen. Hell! this was insane… In frustration he slid his fingers through his hair.. How could it possibly be this difficult to get a girl alone for more than two minutes without goats, and interfering idiots descending upon them? It was close to twilight outside. The strands of fairy lights had just started to glow. There was still a faint tinge of red that the setting sun had left behind in the far off horizon. The sky was crowded by flocks of birds flying back to their nests. The leaves on the nearby tree branches had a turned a sinister shade of black against the graying sky. A few early stars were already twinkling overhead. Anjali was fixing the blood red orchids near the wrought iron swing on the roof. They were the most expensive kind, but would remain fresh at least a whole week. The fragrance of roses and chamelis also filled the air. There was no function today, but Anjali had wanted the house to be dressed up like a bride. 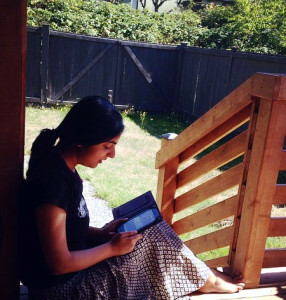 She was near the end of the roof, behind the swing, when Shyam found her. He climbed the last step and surveyed the roof. There was no one except Anjali. He silently patted himself on the back. Why bother with something as elaborate as arsenic when a simple straightforward shove would do the trick. Off the ledge would go half his troubles! He would wail with tears pouring down his eyes, letting everyone know how lonely his life would be without his dearest rani sahiba. Everyone would be worried for their damaadji who would not eat or take care of himself. And then in a few days in a double tragedy the son of the house would also die. And the son-in-law, Shyam Manohar Jha, would come out of his gloom to take control of the vast empire left without its boss. Obviously the girl meant for dead son would be married off to the grieving decent widower, the son-in-law, the heir to AR industries. With an evil gleam in his dilapidated pupils he stealthily moved towards his unsuspecting wife. She shrieked as an hand rested on her shoulder. “ranisahiba.. dhyan se.. If you will remain so lost then aapko chot lag jayegi. And then what will happen to me?” He crooned. “arre look at the balcony. How have they placed the fairy lights? arre humare saale saab ki shaadi hai, everything should be perfect. chaliye hum hi sahi se laga dete hai“. He moved towards the railing, knowing well who would follow. “aap sabka kitna khayal rakhte hai. I am very lucky Shyamji“. Anjali followed him to the edge, just as he had predicted. Now all that remained was a little distraction which would hardly be difficult, since she was gullible enough to even believe a flying bear was crossing by chewing on a chewing gum, if Shyam happened to point that out. Pity! That someone so easy to handle had to be sacrificed. “ranisahiba.. neeche dekhiye kya ho ra hai“, he mocked a laugh. Then as Anjali eagerly peered over the railing he put out his arms. It was time for her end. Dreamy khushi and lost Arnav were /are a treat to read and watch..they look adorable in that state..ofcourse that Shyam had to come to spoil the mood..NK..not you too..why the people in RM always appeared at wrong timing..i was so eager to read the teasings..anyway you will make it up for in next chapters i know..
Am thrilled to see you reading so many chapters together. Thank you thank you. And in true ipk spirit everyone has to disturb Arshi samjhi tum? !